Yes, that’s right Team Rootdown is expanding for the 2010 growing season. For those who have already guessed it the 23 horses refers to our brand new Kubota B2320 compact utility tractor. This beauty will allow us to be so much more efficient, likely at least doubling our capacity for growing food is we use it right. It should also save our backs a bit so we can keep on growing food into our later years. Currently we have a front end loader – mainly so that we can turn and compost manure on-site, producing our own fertility – and a 48″ rototiller so that we can be self-sufficient in cultivating our fields, and handling our crop succession and rotation. We wanted to get the smallest, lightest, most efficient tractor we could while still having enough power to perform the tasks we wanted. 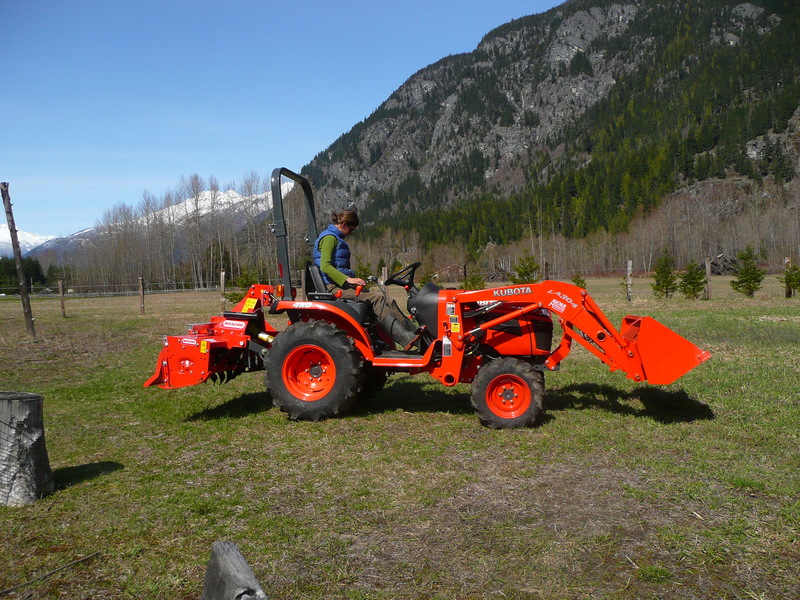 The Kubota 2320 seems to really fit the bill. On the topic of expanding Team Rootdown, it is time to introduce Simone McIssac, who will be joining us in the fields and at the markets for the 2010 season (and hopefully beyond!). 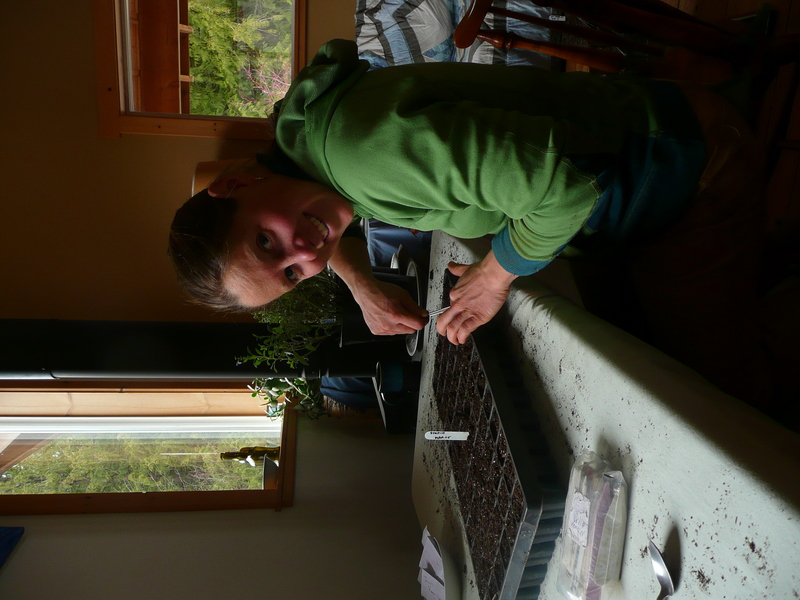 Simone is a very passionate grower, a good friend (Simone and Sarah did the Sowing Seeds apprenticeship at UBC Farm together) and, best of all, a super hard worker – we have no doubt that Simone will outperform the tractor in terms of increasing Rootdown’s productivity this year. Come and meet Simone at one of our markets this summer. Can’t wait to see the operation live & in colour-especially that B2320 and Simone,of course. Happy hauling,howing & harvesting! oops… typo… I meant chickens! I especially like that color coordinated garlic scape colored hoodie you’re wearing! Here’s to a great growing season! p.s. 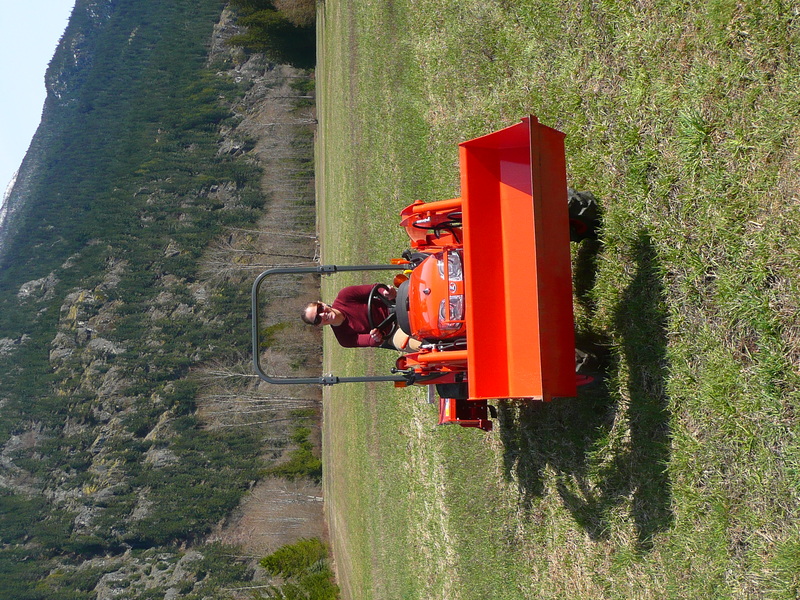 I agree that Simone might likely outperform the tractor… she’s incredible!